Grace Baranek shares her reactions to the profession’s new doctoral-degree mandate. Last August, the Accreditation Council for Occupational Therapy Education — the autonomous accreditation agency for occupational therapy education in the United States that oversees the profession’s educational standards — announced a new “mandate,” effective 2027, to elevate the entry level for all new occupational therapists from the master’s to the doctorate degree. Because the move undoubtedly impacts educators, students and clinicians alike, it has elicited wide-ranging questions and concerns about its ramifications. 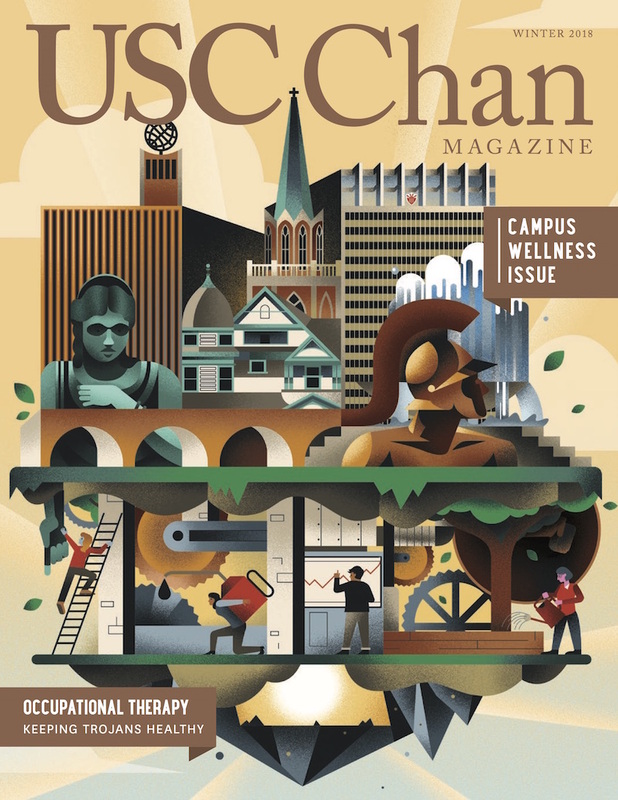 Associate Dean and Chair Grace Baranek shares her perspectives about the mandate and what it might mean for the profession and for USC Chan. What was your initial reaction to the 2027 doctoral-degree announcement? I was equally surprised and unsurprised. I knew it was inevitable, although no one could predict exactly when this decision would happen. The profession’s point-of-entry has been a topic of discussion, through various informal and formal channels, for nearly 10 years. The pros greatly outweighed the cons, in my opinion. A single point of entry at the doctoral level is what’s best for the future of occupational therapy. Ultimately, OTs will have more opportunities for leadership in health care with advanced skills and knowledge in evidence-based practices. Now that there is a definitive due date, we can move forward building the best program we possibly can. 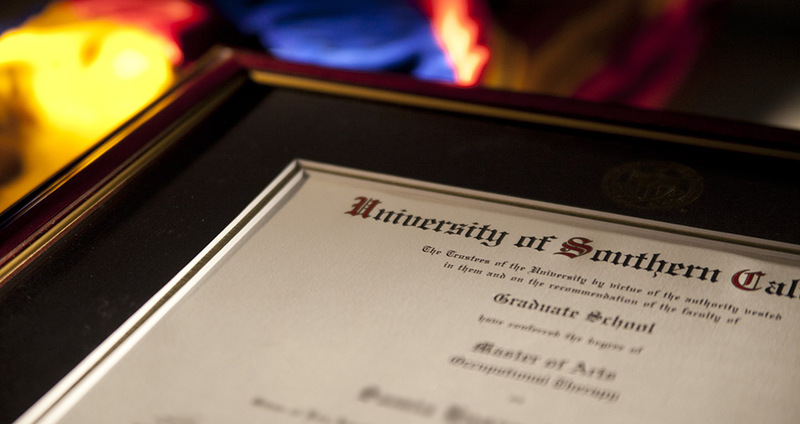 USC Chan currently has an entry-level master’s-degree program and a post-professional OTD doctorate program; What will the transition process to an entry-level doctorate program look like? First, I want to acknowledge the hypothetical curriculum studies that have already been conducted by our faculty, especially Drs. Florence Clark and Julie McLaughlin Gray, to start preparing for this shift. The timing is fortuitous because we’re embarking on a new strategic planning process this spring semester, and setting strategic priorities for the foreseeable future. We will reflect on the stellar outcomes of our current degree programs that serve as guideposts, while at the same time focus on what the new entry-level OTD could — and should — look like. There is nothing more invigorating than envisioning the many new opportunities for occupational therapists in the next decade and beyond. A common concern is that the mandate likely adds a third year of study time and tuition to what are currently two-year master’s degree programs; What do you say to those who are worried about these additional barriers to entry? We have already seen tremendous growth in our post-professional OTD program — enrollment has more than doubled in the last five years, and the average GRE scores have increased by more than 100 points. A majority of our OTD students come directly from our master’s program, which means that they are already spending three consecutive years at USC Chan. Altogether, this bodes well for student supply and demand for a three-year, entry-level OTD program in the near future. Currently, there are more than 430 USC Chan doctors of occupational therapy already out in the workforce leading our profession forward in evidencebased specialty practices, graduate education, research, administration and policy. I think they could all attest to the impact that the additional year at USC has made upon their careers and the quality of care and programs that they provide. USC is a large, private research university located in a diverse urban setting; How will those factors aid in the transition to an entry-level OTD program? We are fortunate to be part of a large and diverse urban community with many unique resources and ample opportunities for occupational therapists to make a difference in people’s health and quality of life. Our current post-professional OTD program already has relationships with over 80 residency sites. Plus, when you take into consideration our five-person fieldwork team and USC’s longstanding ties with hundreds of sites across Southern California, the state and nation, I think we are well-positioned to navigate potential bottlenecks or shortages of clinical experiences, which is a constant concern for so many educators around the country. There’s a saying, “many hands make light work.” Considering the significant size of our faculty, our dedicated staff and the resources of the alumni Trojan Family, I know that everyone will be working together towards making our entry-level OTD the gold standard.